Problems. We all have them, and each time one pops up, it feels like the toughest one we’ve ever faced. And it makes sense, because the problem we have right now is the only problem we’ve ever had that hasn’t been solved. The pain we feel now is the only pain we’ve not overcome. While it’s simple and logical to say that everything just needs to be put into perspective, it’s a lot tougher to minimize the feelings that go along with it. When you’re having a bad day, I mean, a really bad day, just remember that today is almost over: that tomorrow is a new day. Remember that there are both good and bad people in this world. You just have to find those who are good for you. Tina Turner, of all people, has experienced this pain. Having an abusive father, mother who ran away when she was 11, and high school sweetheart who she broke up with after learning he was already married, her younger years were not exactly easy, By age 23, she was married to her violent husband/musical partner of 16 years, Ike Turner. After surviving all of that, she went on to have an extremely successful solo career. For the next few decades, Tina’s accomplishments amassed, with top 10 hits, movies, and a net worth of $350 million. In 2013, she got remarried, and moved to Zurich, Switzerland, where she loves it so much that she gained citizenship, and relinquished her US citizenship. Good for you, Tina! 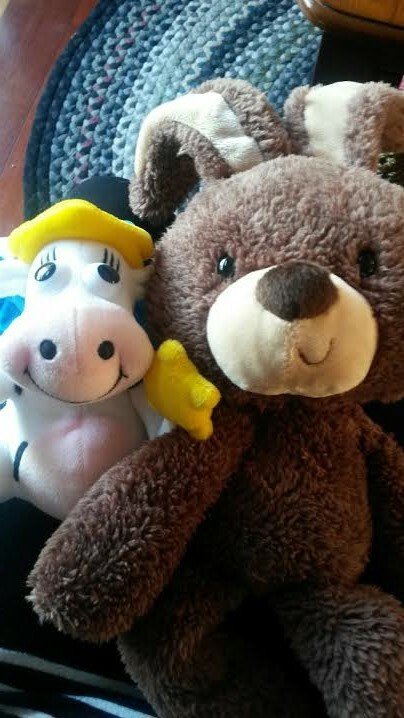 I am glad you found happiness! 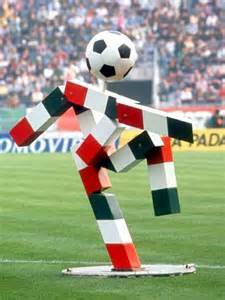 This is Cooly, the mascot for the 2014 European Championships, and while he has a crappy name, he is super cute and super athletic. Is he gonna clear that hurdle? It’s okay Cooly! We love you!!!! Italy has a lot going for it, and that makes me proud to be a Palermo (yup, it’s Italian, for real.). They claim some of the yummiest foods that we eat too much of- pasta, pizza, calzone, tiramisu, yummy! They are home to some of the most beautiful architecture- Leaning Tower of Pisa, The Colosseum, The Pantheon. While technically a separate city-state, it is basically home to the religious mecca of The Vatican. Sounds like there’s nothing it can’t do! 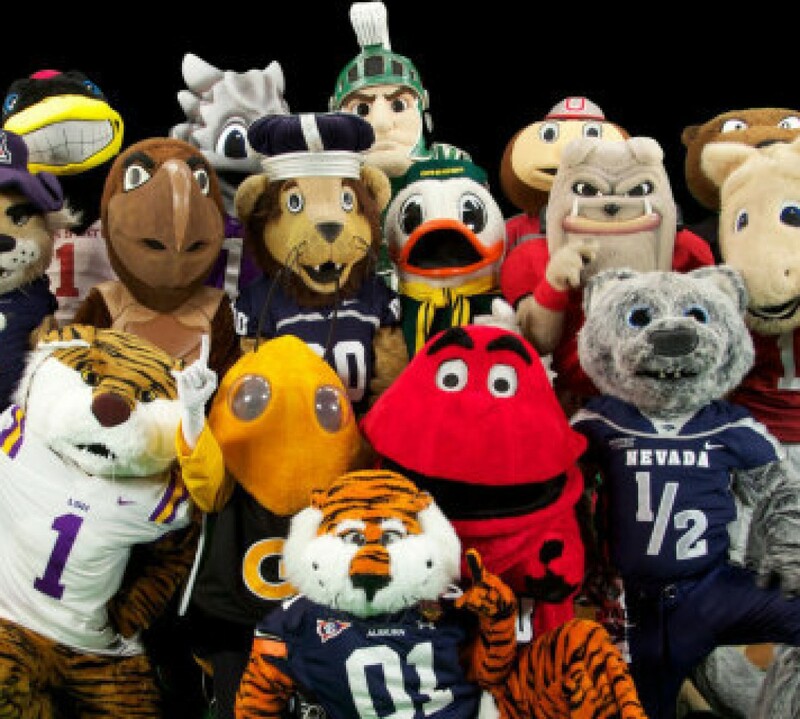 !… Except for mascots. 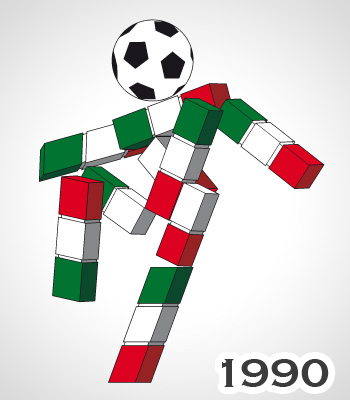 It’s pretty much half of a busted Rubix Cube with a soccer ball balancing on top. How was this the best that they could do? The icing on the cake? It is named Ciao. Ciao= hello, and therefore shows a cutting-edge level of uninspired. Thankfully, nobody was forced to dress up as a multi-coloured box mannequin , but there was a sculpture for the event. That soccer ball head better be regulation! 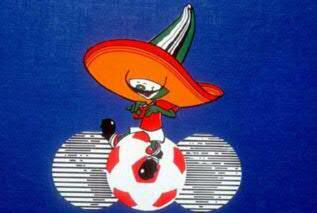 As the host country for the World Cup, Mexico was given the task of creating a mascot for the biggest sporting event in the world. Their decision making method? 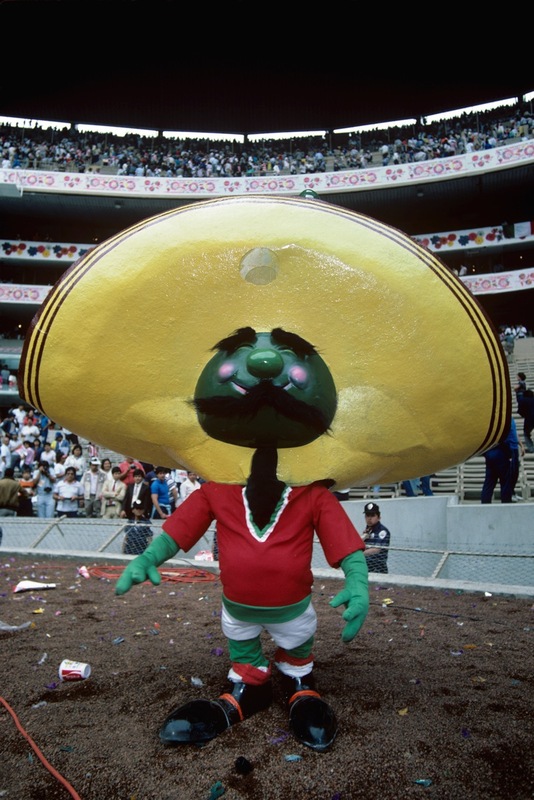 Putting together every single stereotype of Mexico, and shoving it into character form. 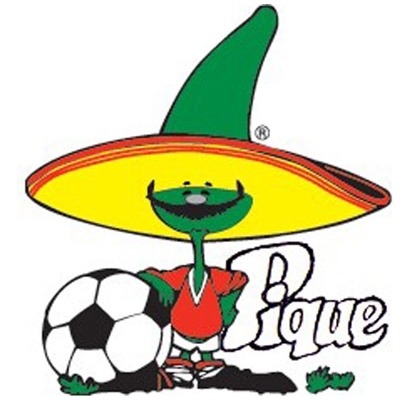 So Pique, a picante pepper, grew out his mustache, put on his airy, brightly coloured v-neck, woven shoes, and sombrero and cheered with the best of ’em. 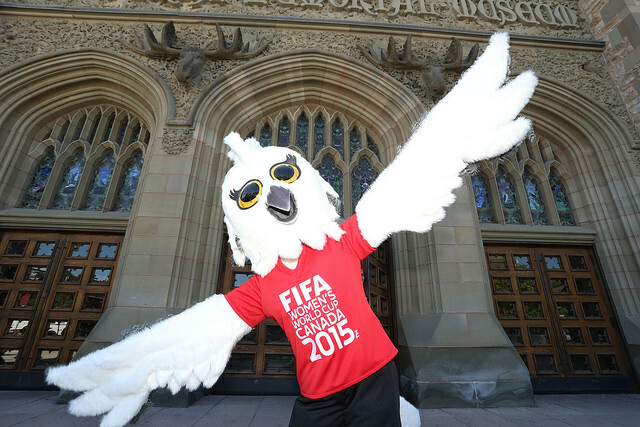 Yes, there was a physical mascot too, but unfortunately not a costumed one. Yes, I’ve been MIA for a few days, taking care of the absolute awesomest, cutest, most troublesome baby ever! She also has the best stuffed animals, which only made it that much better- look at this bunny!!! So today I tried to find a mascot that was equally as cute, but let’s face it… that’s not possible. 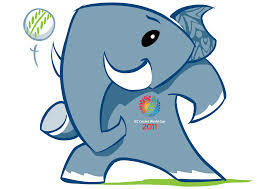 But the elephant I chose is pretty great anyway, and shouldn’t be compared to something so perfect. 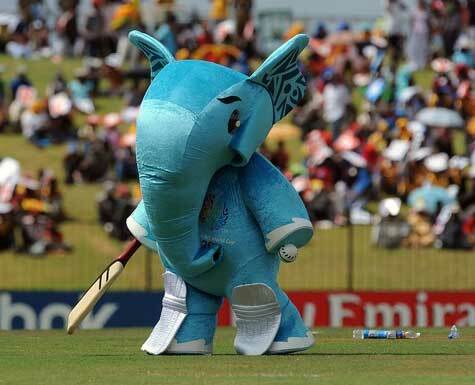 Stumpy was the mascot for the 2011 cricket world cup in South Asia. 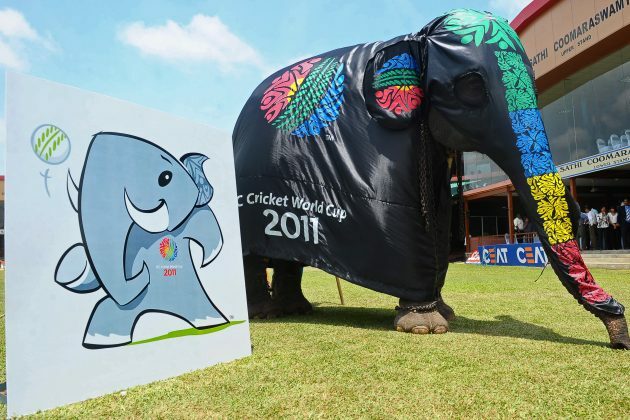 Born in Sri Lanka, he is said to be 10 years old during the event, and chosen due to his fun, energetic, enthusiastic, and upbeat personality. I guess he has delicate knees and shins. Safety, children! One of the coolest things about Stumpy is the statue they made and decorated to look as traditional and realistic as possible. Once again, cricket is way cooler than I even expected. Good work, international sports! If your weather is anything like mine, congratulations! It’s officially deathly-hot summer. With a high of 100 all week, I questions both my sanity and reasoning skills. I mean, I am choosing to live in a place with the tagline “surprisingly hot.” That’s not a good idea. To try to stay half-sane, picture you’re somewhere else. Somewhere nice, cool, and fun. 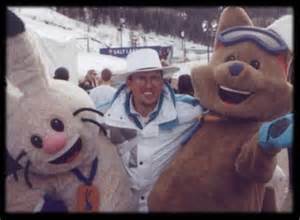 Like hanging out with the mascots in the 2002 Salt Lake City Winter Olympics. First of all, do their names not seem a little, loaded? What message are they trying to get across to us? These three are based on traditional stories of Native Americans that have been told for generations. Story has it that at one point the sun was burning up the earth, so the hare ran to the top of the highest mountain, shot the sun with a bow and arrow, and the sun dropped to where it would no longer burn the earth. The earth at one point turned dark and frozen, so a coyote stole fire, climbed to the highest mountain, and warmed the earth again. A bear is the only animal brave and strong enough to outlast the hunters who tried to track him down. 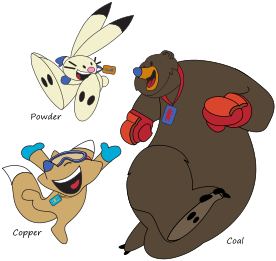 These three animals represented being swifter, higher, and stronger, respectively, and were seen as a great fit for the olympic games. 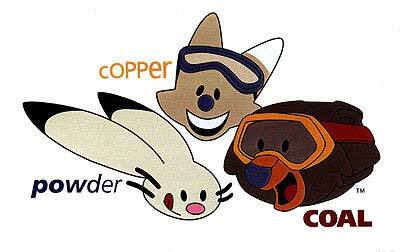 And while it’s a decent thing to base them off of, and the pictures are super cute, I’m not sure I’m sold on the actual mascots. They’re a little spooky. But this guy likes them, so who am I to say otherwise? Ahhh, FIFA, where do I begin with you?! All of the bribery involved in becoming a host city has been quite a scandal. But why? Sure, your country gets mad props, and it helps businesses, but at what cost? South Africa reportedly spent $4-$5 billion on preparations to host, when really they only made about $500 million. I don’t get it. As an economist, this is not a feasible scandal. 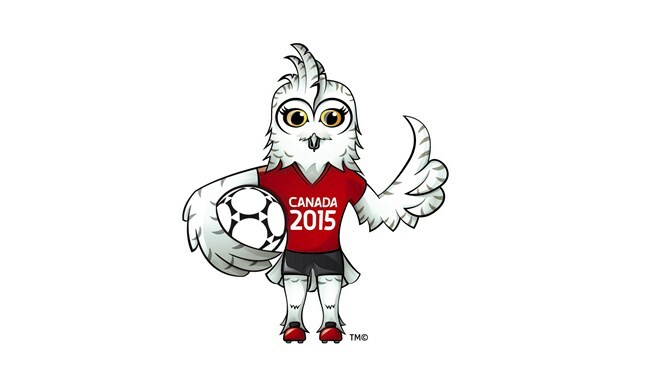 This is Shueme, which means owl in French, because the host country Canada wants to remind you that they are not the same as the United States, and one of their official languages is French! Sponsored by the Museum of Nature in Ottawa, she is a representation of the sport’s elegance, strength, peace, and fairness. But she also wants to be friendly and welcoming. But also seem athletic, precise, and agile. And stylish. Man, she’s expected to do it all.. sounds like maybe there is a feminist argument hidden in here somewhere. Oh liberal Canada… but I don’t do politics… I just do mascots. Scheme, I gotta say, you’re well drawn- very detailed and accurate, and you got nice legs! Nature vs. nurture is a commonly debated topic in biology class. Is it my fault I like burning ants with a magnifying glass? Does that signal a serial killer? Well, today I give 1 point to nature. 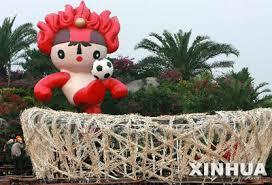 Particularly, the Chinese side, because they take mascots as seriously as I do. 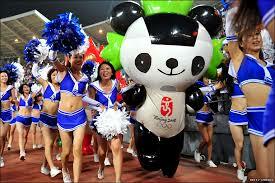 In 2008, Beijing hosted the summer olympics, which of course takes quite a bit of planning. But usually that means for arenas, hotels, water supply. Not so much for mascots. China feels differently, though. 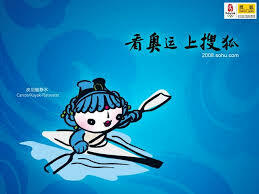 To choose a mascot, China elected The National Society of Classic Literature Studies to choose a mascot and reveal it exactly 1,000 days before the opening ceremony. 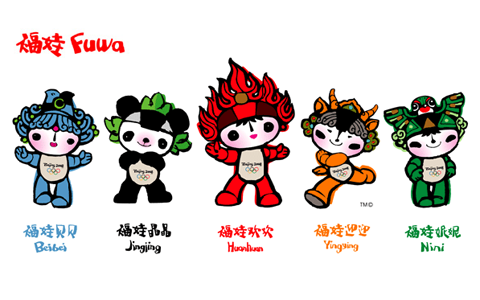 After drawing more than 1,000 variants of Fuwas, or good luck dolls, they decided on this awesome team of 5. 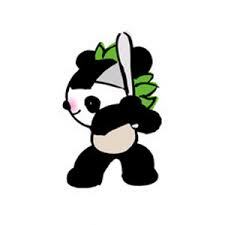 Lil baseball panda! So freaking cute! Oh my gosh! !